Tropical resort style living? Beautiful views? Maintenance free townhome lifestyle? Water sports? YES. Itâs all here and more. Stop looking and come see what you have been unable to find before today. The name is Sunset Bay for a reason, just wait till you experience the wonderful views from you screened patio, or any of the 3 floors. Donât worry you have an elevator making this home feel even more like paradise when you never need to climb stairs again. 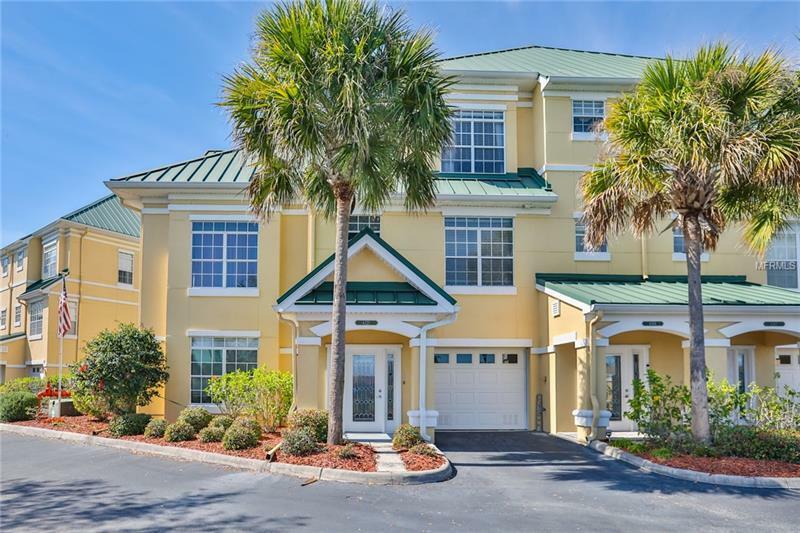 This gated waterfront development boasts more than expected with exterior maintenance, trash, pest control, water, community pool, fishing pier and marina. Want a dock with water, electricity, 10K lb. lift? You can have that, if you like. Getting to deep water without any bridges is always nice, isnât it? Would you have a use for a 3 or 4 car garage? Or maybe just a TON of storage? Come look. Inside is every bit as nice as the outside attractions with windows featuring hurricane film tint, solid surface countertops, solid wood cabinets, under cabinet lighting, and an open floorplan with oodles of natural light, just to mention a few. All the bedrooms provide you with plenty of room. You will really enjoy the views of the water feature, pool, and canal as you relax on the screened balcony. You will be close to US 41, I 75 and US 301. Everyone wants to live close to Disney, Performing Arts Center, Dali Museum, NHL, NFL, MLB and Tampa International Airport and more. This is a great opportunity to acquire a townhouse that you will be proud to call your own. Additional Water Information: Dock and boat lift available at additional cost.